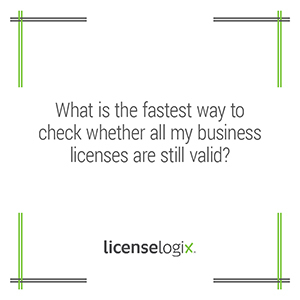 What is the fastest way to check whether all my business licenses are still valid? LicenseLogix offers a service for businesses to verify the status of your entire portfolio of licenses. Clients receive a comprehensive report detailing the license, licensing jurisdiction, and any renewal date.